We are North America’s Most Knowledgeable and Comprehensive Developer of Professional Coffee Roasting Operations. Start a Profitable Coffee Roasting Business with Usonian Systems Starting at only $89,900! Why Should You Start Your Own Coffee Roasting Facility? Right now is the best time to start a Coffee Roasting Operation as the majority of Coffee and Specialty Coffee Drink Operation Business Owners are seeking the best possible value for their operating budgets while also acquiring the best possible roasted coffee for their customers. Coffee is sold everywhere and is in high demand right now. Today roasting facilities sit in prime position to provide great everyday high quality coffee at value based prices to coffee shops, businesses, hospitals, schools and many other operations that provide coffee to their visitors, customers and employees. Coffee is the number one served drink consumed in the United States and that trend is not in decline, but increasing dramatically. Who Will Be Your Customers, And How Much Coffee Will They Potentially Purchase Every Week On Average? Air Port offices 50 lbs. That is just a small selection of only 8 customers selected from that roaster’s list of over 50 customers they are currently serving after being in business for only 2 years. You can see from this limited sampling how 405 lbs. of coffee sold each week becomes 1,620 lbs. of coffee per month reaching 19,440 lbs. per year. Just those 8 clients represent $165,240 of revenue for that roaster’s facility each year. After being in business for just over 2 years that roasting business is earning a total of $991,440 – nearly one million in revenue roasting and selling coffee. Your turn-key coffee roasting business developed by Usonian Systems comes fully equipped, stocked and ready to open on day one. Usonian Systems gives you the ability to operate with the look and feel of a large franchise operation while maintaining complete control of your business. Usonian will never charge royalty fees, or restrict your business in any way as many franchise opportunities do. Every aspect of a successful coffee roasting business - from ordering, stocking and roasting your coffee to sales strategies and their successful implementation, business branding, marketing and personnel training, supervision and human resources planning - is fully covered in the Usonian training system. In addition to the comprehensive on-site training we also offer training via phone, online and at our Las Vegas corporate facility. Every training program is individually tailored to fit each owner's needs and schedule requirements. The bottom line is Usonian Systems will always be there to ensure that you stay as sharp and profitable as possible throughout the operation of your coffee roasting business. So, How Do I Open My Own Coffee Roasting Business? What Is The Process? To get started on the development of your new coffee roasting business, simply fill out the online form here on Franchise Gator. Each one of our clients has their own personal Business Development Director that will always be available as the main point of contact throughout the process. Your Business Development Director is ready to help with any questions or concerns you may have at every stage of the process. 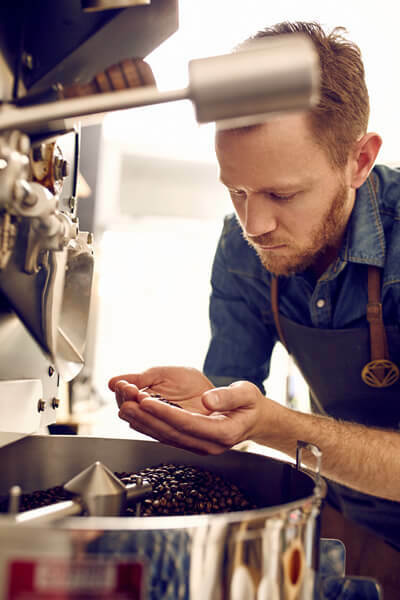 After you have completed the initial planning with your Business Development Director, you may either arrange financing yourself or we are happy to assist you in securing a suitable Funding Advisor to help secure the necessary financing for your roasting facility. Because every roasting operation’s size, revenue goals and financial situation is unique, we look at all factors involved and will suggest a variety of different funding options and strategies that will achieve your goals most effectively. 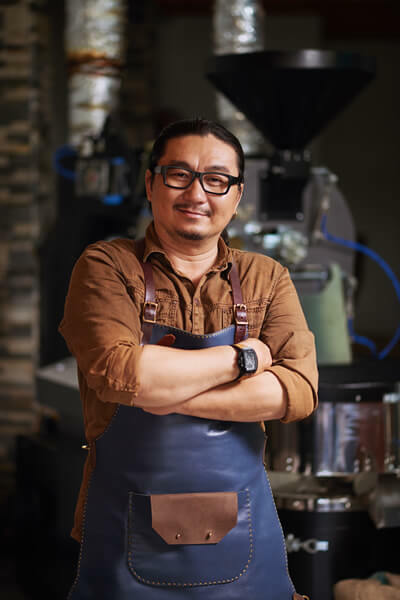 Location is NOT critical to the success of your business which is a major advantage coffee roasting businesses have over that other business types. We will assist you in finding a suitable location and typically for very little rent/cost. We will work with you to select a licensed commercial real estate broker in your market area to negotiate from our checklist of provisions for your lease package. The bottom line is Usonian Systems will save you thousands of dollars by helping you find the ideal location and negotiating the terms and optimal rent. When your location is established and ready to go, a Usonian Systems Professional Build-Out Supervisor will travel to your site to personally oversee the labor and manage the project’s build-out. During the build-out process the supervisor will also be there to train you on various stocking techniques, initial set up and operation of all equipment, and educating you on how your specific business will operate on a daily basis to maintain peak efficiency and maximum capacity. Immediately following the build-out our team of trainers and consultants will travel to your site and be with you over a period of 7-10 days depending on your specific operational needs in order to finalize your comprehensive training on every aspect of operating your facility. 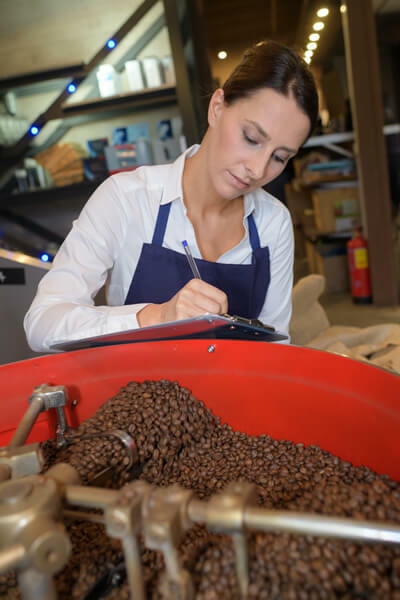 We provide all the project management, shipping, labor, equipment, fixtures, and services required to build your Coffee Roasting Business – and then we hand you the keys! Usonian Systems has established relationships with a global network of green coffee providers and also maintains our own import warehouse. We have buying power based on volume - and negotiate the best possible prices for all of our clients. Our buyer’s hand-select green coffees beans from around the world for quality and profitability. We will assist you at every stage of the buying process and recommend the best possible coffee for you to stock and roast for your specific end customer’s needs. "With a starting price as low as $89,900, you will receive everything you need to open your coffee roasting facility, have all work performed by seasoned professionals, and never pay fees or royalties!" Your complete turn-key package includes all the services outlined here as well as fixtures, equipment, supplies and green coffee inventory required to get your new coffee roasting business open. We build-out your entire operation space and prepare you and your coffee roasting facility for its grand opening so that when we have completed our work you are in business – and successfully so. This incredible level of comprehensive long-term support and service is usually found only within large franchise organizations that charge huge fees and royalties. Potential entrepreneurs often regard a franchise as a comforting security blanket to have: a ready support network to answer questions, help them through issues, and supply them with the goods and services they need to successfully run their business. In reality, a franchise offers a much higher package price, regulations, fees, contractual obligations, extreme oversight. This loss of control quite often completely overrides the entrepreneurial spirit that inspired the business owner in the first place. Usonian Systems offers everything to the owner that a franchise does - and much more - without the extra obligations that devour your revenue and entrepreneurial spirit. The Bottom Line Is This Is Your Business & You Are Always 100% In Charge! 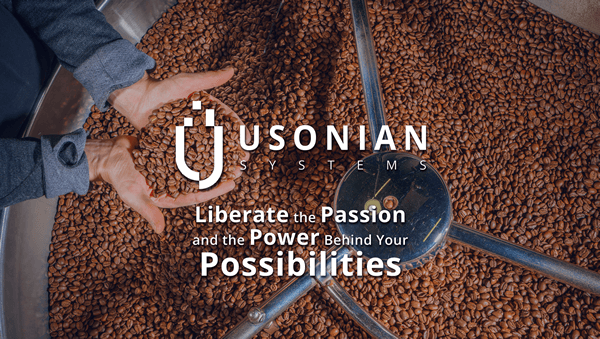 An owner who has his or her coffee roasting facility developed by Usonian Systems makes 100% of the final decisions for their own business and keeps 100% of the revenue they earn. You will always maintain full control throughout the entire process and in all decision-making from initial development through your grand opening and beyond. The role of Usonian Systems is simply to provide you with all the equipment, supplies, systems, consultation, service and support necessary. We are dedicated to always being there for our owners so they always feel independent but never feel alone. Please call Thomas Vosicky directly at (855) 997-0334. Usonian Systems is currently accepting inquiries from the following states: Alabama, Alaska, Arizona, Arkansas, California, Colorado, Connecticut, Delaware, Florida, Georgia, Hawaii, Idaho, Illinois, Indiana, Iowa, Kansas, Kentucky, Louisiana, Maine, Maryland, Massachusetts, Michigan, Minnesota, Mississippi, Missouri, Montana, Nebraska, Nevada, New Hampshire, New Jersey, New Mexico, New York, North Carolina, North Dakota, Ohio, Oklahoma, Oregon, Pennsylvania, Rhode Island, South Carolina, South Dakota, Tennessee, Texas, Utah, Vermont, Virginia, Washington, Washington, D.C., West Virginia, Wisconsin, Wyoming.